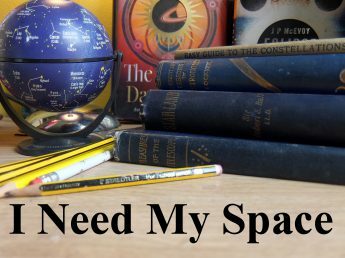 Coma Berenices and friends | I Need my Space! A quick post while it’s all still (mostly) in my head. Did a decent session with my new Opticrom 10x50s tonight. At last! Observed by Boscabel House, near Tong. Slight haze, 5 day old moon. Started in Cassiopiea, with clusters…. Double Cluster, Stock 2, then Melotte 20, (in Perseus). All quite easily found. Then M36, 37 & 38 in Auriga. Bodes galaxy also spotted. Not looking for anything in particular, I happened upon Melotte 111, the large open cluster in Coma Berenices, quite stunning in the new bins. This cluster is said to be one of the closest star clusters, hence its large apparent size. From here, using star maps I was able to find M53, near the star Diadem. It’s a 7.7 mag globular cluster. I’m going to put it on my hit list nest time I get the large dobsonian out. I scanned the area around Arcturus in Bootes, and found a rather obvious deep-sky object, but I didn’t know what it was. More map-checks revealed it to be M3, a globular cluster at 6th mag, just across the border in Canes Venatici. Yet another bright deep-sky object largely ignored by me because it’s in a faint constellation. A big surprise was Jupiter, I didn’t expect to see it so early tonight. Three moons were seen and the disc was easily discernable in the 10x50s. I made a quick sketch of the moons – the furthest being the brightest.